Working in the studio means working with clay and other materials. 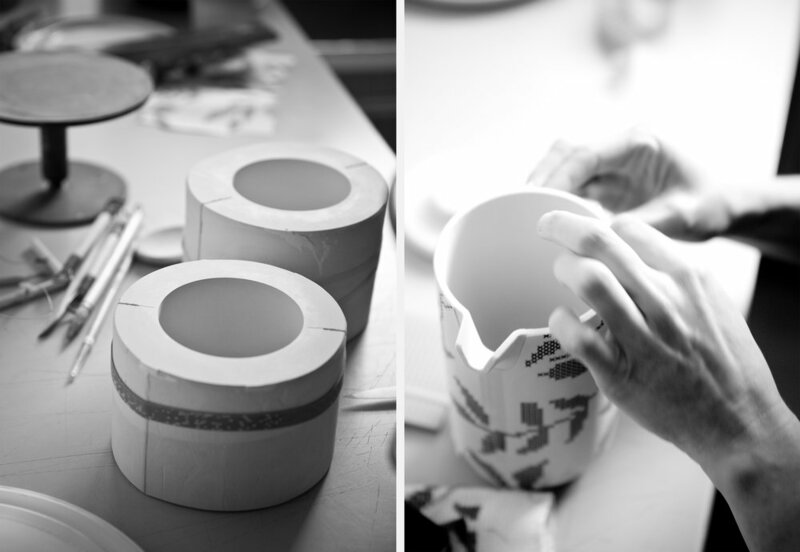 Gry spends her day developing and designing new products, slipcasting porcelain in plaster moulds, applying patterns, and at the end of the day filling the kiln and firing the porcelain pieces. Besides working with clay during the day Gry is always experimenting with creating new collections, making glazing experiments and drawing serigraphic patterns.